Tune into Sony Channel on 17 April to fracture your funny bone when “Dr. Ken” takes its place alongside “Baby Daddy”, “Younger”, “Bad Judge” and “Odd Mom Out” as part of the ROFLing* line-up on Sony Channel each week night. Ken Jeong is a funny guy known for his scene stealing abilities in “The Hangover” and “Knocked Up” but did you know he is a qualified M.D too? This latest sitcom is a perfect pairing of host and subject. Created, written, and co-executive produced by its lead actor, Ken Jeong; “Dr. Ken” is just what the doctor ordered. Based on Ken Jeong’s own experiences in his career and family life, “Dr. Ken” pokes fun his everyday life. A perfect prescription of what not to do when dealing with complaining patients to working alongside colleagues or facing the daily trials of fatherhood; Dr. Ken creates drama with his impatient and way-too honest bed-side manner and over-zealous parenting style. “Dr. 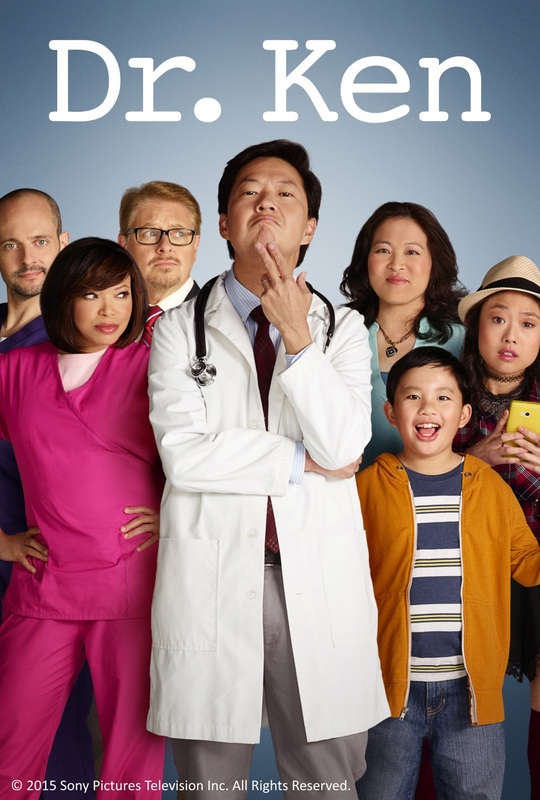 Ken” stars Ken Jeong as Dr. Ken Park, Tisha Campbell-Martin as the no-nonsense receptionist Damona, Jonathan Slavin as his faithful nurse Clark, Kate Simses as Julie, the sweet, naïve resident, and Dave Foley as Pat the hospital administrator. At home, Suzy Nakamura plays his beautiful and successful wife Allison, a psychotherapist, who patiently tries to keep her husband’s anxiety, hypersensitivity and control issues in check when dealing with their two children; Albert Tsai as nine-year-old Dave and 16-year-old teenage daughter Molly played by Krista Marie Yu. Make laughter the best medicine and tune into “Dr. Ken”, first and exclusively on Sony Channel starting 17 April, Sundays at 7.30pm. ROFLing* Roll-On-The-Floor- Laughing Sony Channel is seen on SKYCable Channel 35, Cignal Digital TV Channel 60, Destiny Cable Channel 62, Cable Link Channel 39. Sony Pictures Television Networks, Asia was established in 1997 with Singapore as the Asian headquarters of Sony Pictures Television’s networks business. It operates five ad-supported 24/7 channels which are wholly-owned by Sony Pictures Entertainment. AXN is Asia’s home of thrilling entertainment; Sony Channel is the premier destination for female-skewing Hollywood entertainment; Animax offers anime for all; ONE is powered by prime and current South Korean entertainment content; and GEM serves up star-studded and popular general entertainment programming from China, Hong Kong, Taiwan and South Korea. The company also operates joint-venture Indonesian telenovela channel Vision 2 and children’s content channel BabyTV, as well as Chinese movie channel LS Times TV which it represents in Taiwan.